So it is officially cold here in Atlanta. You may have to take that with a grain of salt, as I do reside in the south and actually left Miami to come here. So to me, yes, high temperatures in the 50's and 60's is cold. Hey, throughout the day, the weather probably is only at its "high" for a few hours anyway. So that high temperature prediction is really a bit misleading as to what we're actually facing most of the day. 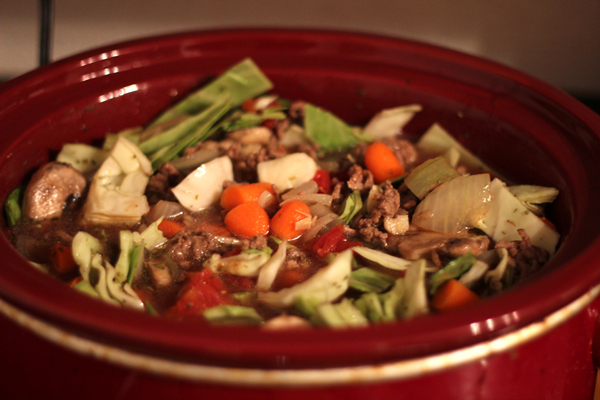 So to make a long story short, when it gets a bit nippy out--I love nice hot, chunky soups. They are perfect for this time of year and they warm me up just right. 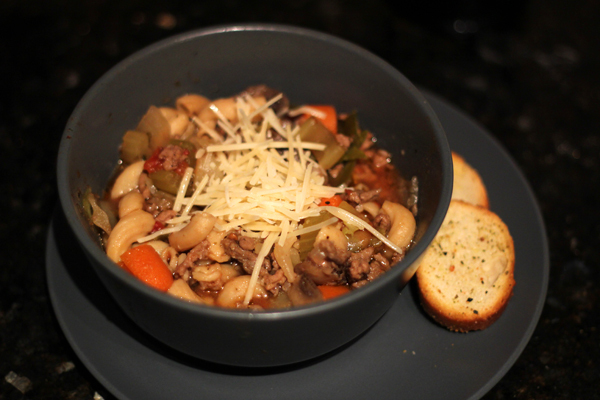 This post is about a nice hardy minestrone soup that is made in my boo the crockpot. There is just a small amount of prep, and then you just set it--then forget it! 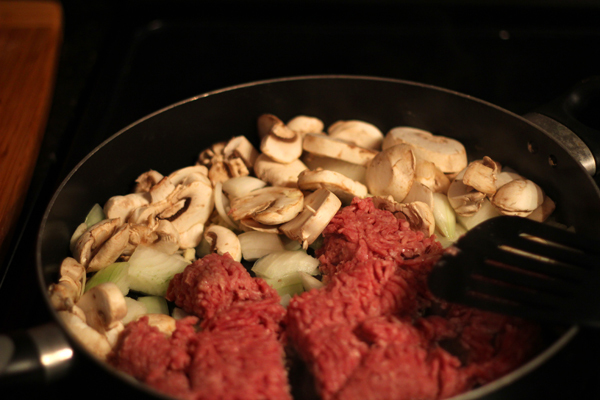 Also, I added about a cup of cabbage to it. I wanted this to be a real MEAL. I would also add about another extra cup of beef broth next time because with the extra ingredients, it wasn't as "soup-y" as I expected. But it was still damn good! This would definitely make a nice vegetarian soup as well. Just replace the beef broth with vegetable stock, and I hear they even have a tofu ground meat substitute out there that could be used. Definitely give this one a try. I insist. Have a happy Hump Day!! Hey Chicago this looks good think I will give it a try. I love cooking in my crockpot. I meant Hey Chica darn auto text.